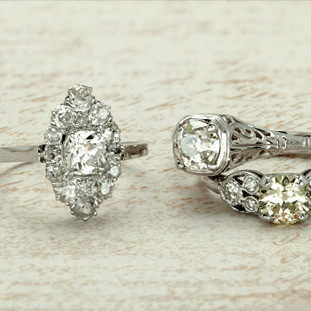 Don't you just love the allure of antique cut diamonds? This .91ct Old European Cut, circa 1910-1930, is a beautiful diamond about 100 years old! Old Euros, as they are also called, are noted for their fire (color dispersion). They are easily recognized by their small table, open culet and noticeable facets. This one has exceptional clarity - VS2. Even with a jewelers loupe, it is very difficult to see anything inside the stone. The color is K, which is at the higher color end of the color found in diamonds this size, from this era. It's interesting that Old Euros face-up "whiter" than round brilliants of the same color. Because of the way they are cut and faceted, their apparent color is typically 1 to 2 grades higher than their true color. The diamond faces up near colorless! 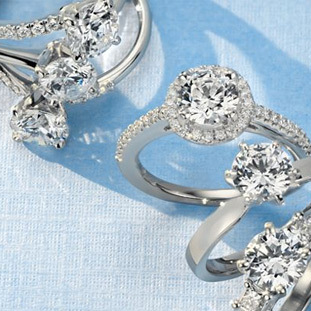 We recommend setting this diamond into either a vintage setting or a vintage-inspired setting to keep the "antique" vibe going.